To open a window, press down on the front portion of the power window switch. To close a window, pull up on the front portion of the power window switch. 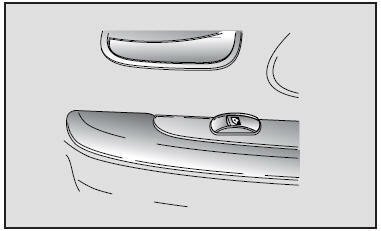 The driver’s door window “LOCK” switch must be in the OFF position (not depressed) to operate the passenger door windows.